Patent Trial and Appeal Board, or PTAB, defense litigation strategies continue to evolve. In a recent Law360 article, Jones Day Intellectual Property lawyers Dave Cochran, Mike Hendershot, and Matt Johnson explained why previous assumptions and strategies pertaining to PTAB litigation must be reconsidered. 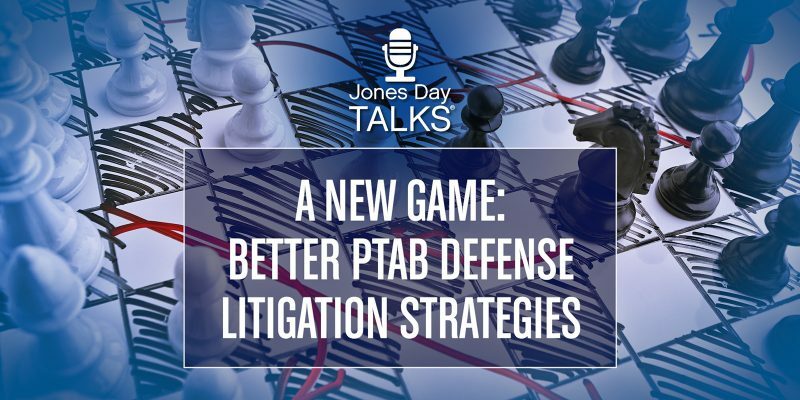 Mr. Hendershot and Mr. Johnson clarify the importance of tight coordination between trial and PTAB counsel, fully developing noninfringement positions early, tailoring a PTAB petition to the claims and grounds truly at issue, and more in this Jones Day Talks podcast.